This Himalayan smokey quartz elestial has formed over quartz and both have the reddish clay infiltration and colouration. 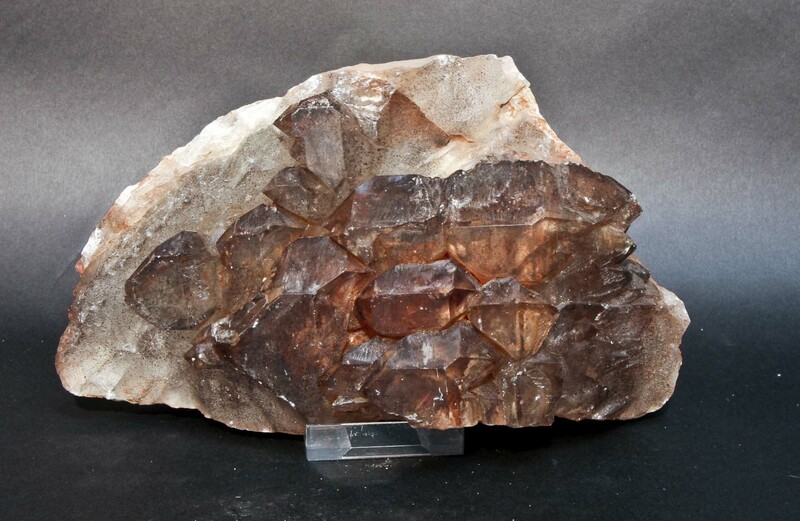 There are traces of mica on the exterior and lepidocrocite scattered throughout. This is more usually seen in Brazilian quartz, I have not seen it in Himalayan specimens before.